Making doors and windows opening either in new construction or in old one is really a skilled job. 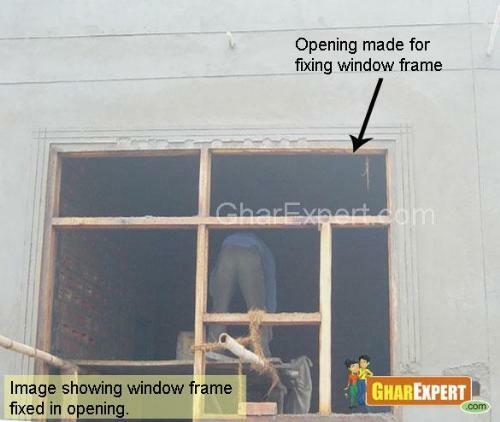 Below are some useful tips to let you know about opening while constructing one. Make all doors and windows openings in walls simultaneously as far as possible when brick work is in progress. Keep opening in external walls not more than 45% of the area of wall whereas opening in internal walls should not be more than 30 % of the area of wall. Do not let the brick work between two openings become a column by definition. If the space between two openings remain less than 18 “ then RCC column should be provided in the space for the safety of the building. Provide all openings in masonry with RCC lintel. Avoid dismantling of brick work for making openings. Avoid horizontal chases as far as possible. In case horizontal chases are not avoidable, in that case more than three chases should not be permitted in any stretch of wall. 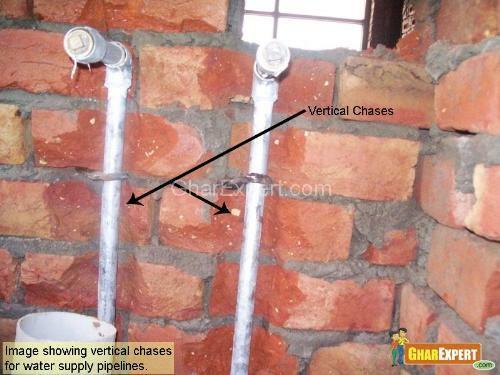 Provide vertical chases for laying electrical and water supply pipe. Do not allow the depth of vertical chases and horizontal chases to exceed 1/3 and 1/6 of the thickness of walls. Do not cut any vertical chases within 1.5 depths from the edge of the wall. Avoid chases under the bearing of the beams. Do not permit any chase in half brick wall. Do not keep vertical chases closer than two meters in any stretch of a wall. Fill chases with cement mortar after fixing pipes. The chases should be filled with cement concrete or cement mortar 1:4. Do you know good brick bonds can ensure the strength of a building? Only you need to select appropriate bond for walls of your house. This article tells you about the options of brick bonds and their patterns.